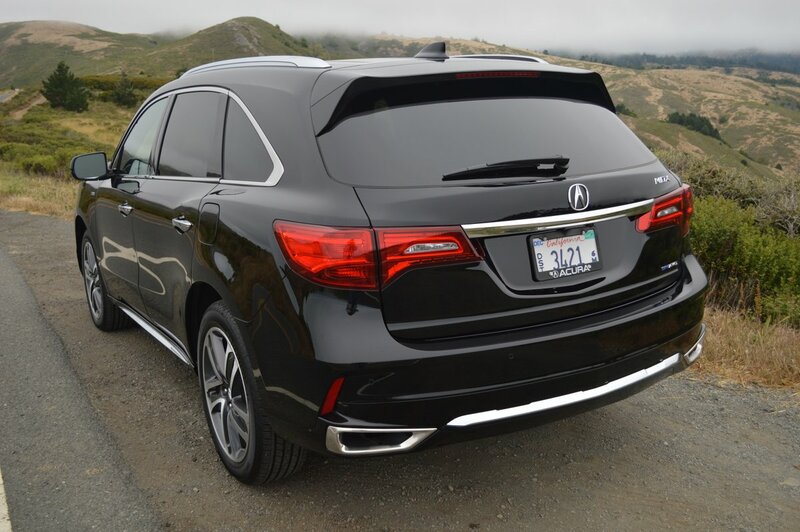 New for 2017 is the Hybrid version of Acura’s popular MDX. This addition to the model line boasts four engines – 1 gas powered, and 3 electric. 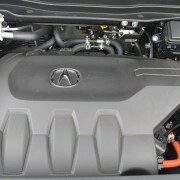 The gas powered V6 displaces 3.0 liters, and features 24 valves managed by Honda’s patented VTEC camshaft technology. 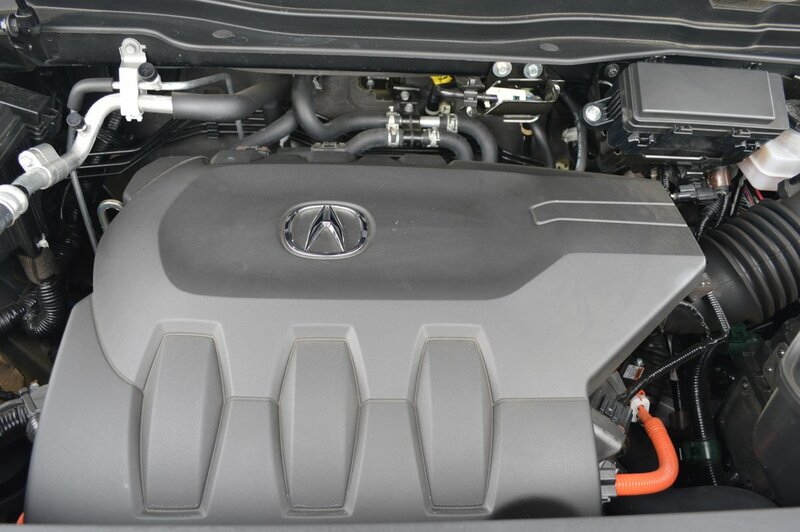 In consort with the triple electric motors, the MDX V6 produces 321hp and is capable of towing a 5,000 lb. trailer. 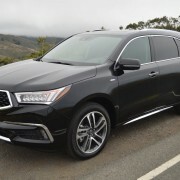 If you forego the Hybrid’s electric motor complexity and opt for a straight gas-powered MDX, Acura will sell you a 3.5 liter V6 good for 290hp. 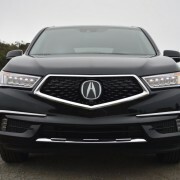 Despite the fact that the Hybrid weighs more than 4,200 pounds, it still produces laudable economy figures of 26MPG in town and 27 MPG on the highway, with an overall rating of 27 MPG. The 3.5 liter V6 manages only 21 MPG overall. 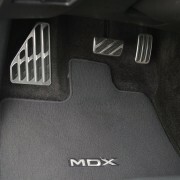 Regardless of engine choice, all MDX variants transfer power through a 7 speed dual clutch gearbox. Our top line Hybrid also included all-wheel-drive which continuously fed torque through all four Continental Cross Contact tires (245/50R20). 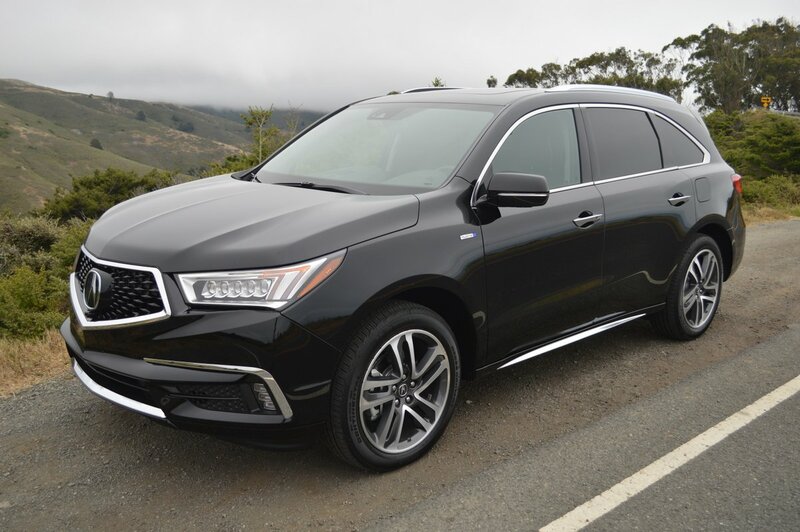 All MDX models this year, regardless of engine choice, are fitted with the AcuraWatch suite of safety measures, including Adaptive Cruise control, Collision Mitigation Braking, Road Departure Mitigation, Forward Collision Warning, Lane Departure Warning, and Lane Keeping Assist. 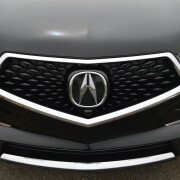 During my week with the MDX, I experienced one false positive with the Forward Collision Warning which blinked brightly to warn of an impending crash despite the fact that there was nothing in view to trigger the alert. I also found that it was easier to control the throttle on long freeway drives with my own right foot than it was to depend on the Adaptive Cruise Control which over managed acceleration and deceleration. 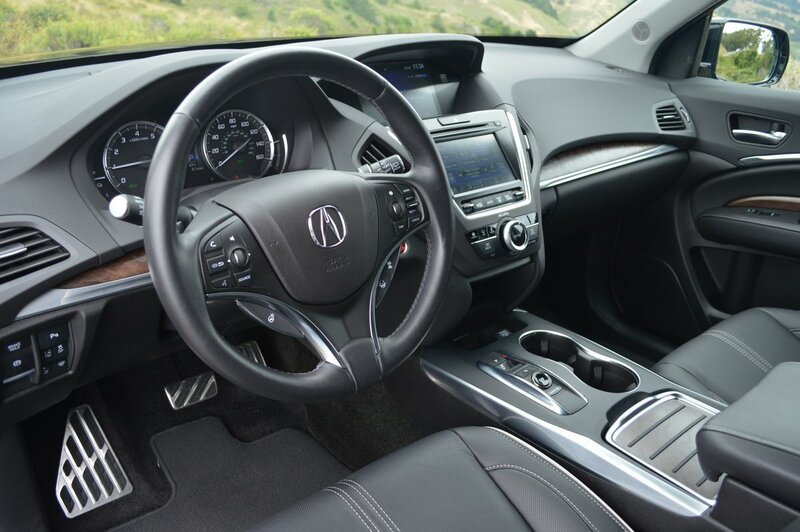 The interior of this loaded MDX lives up to expectation in a vehicle priced at $58,975. Four lavishly padded captain’s chairs occupy the front two-thirds of the cabin, with a useful but restricted third row bench completing the 6 slot interior layout. The rear most bench easily folds flat to increase storage room. 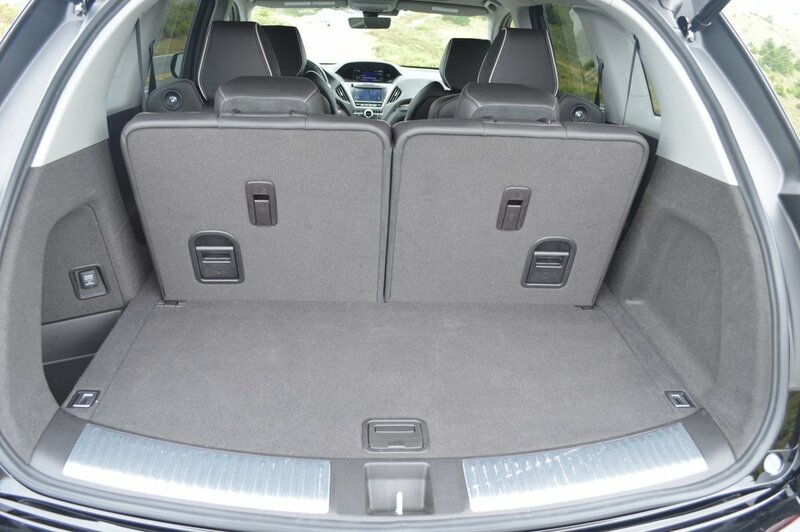 The rear captain’s chairs also fold flat with the pull of a lever, opening up the MDX interior to 34 cubic feet of storage space. A low rear lift-over threshold eases insertion and removal of bulky bike-size items like a bike. 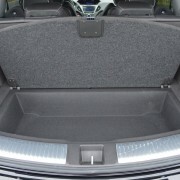 The keyfob activated tailgate assures ease of cargo insertion. 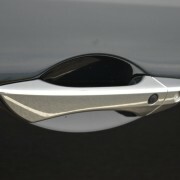 A fixed button on the tailgate does the same for electric closure. 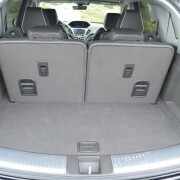 This SUV is perfectly configured to provide a high level of comfort and roominess for a quartet of family members on holiday. 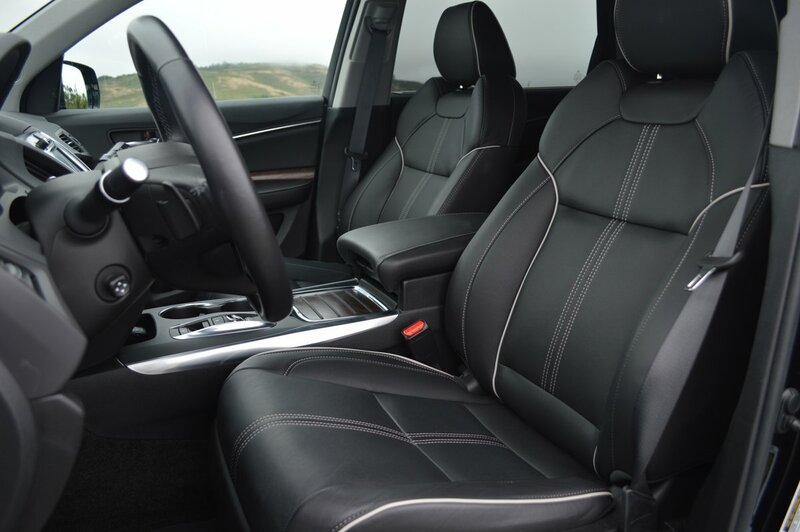 The “Sport” seats are handsomely done, with contrasting stitching and perforated premium leather trim. 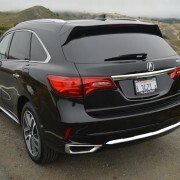 Nor does Acura skimp on the back seats, which are every bit as comfortable and inviting as the pair up front. Matching center consoles front and rear offer a huge amount of deep storage. ; Our test sample’s interior, finished in a delicious shade called “Espresso” also featured insert panels of real wood cleverly patinated to resemble reclaimed barn wood. 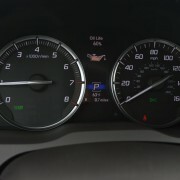 The dashboard’s central column displays two separate screens. The lower screen is dedicated to HVAC settings, fan control and SiriusXM pre-sets. 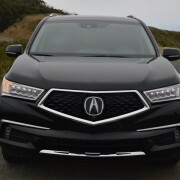 The upper screen carries some of the same infotainment information, plus maps for the Acura Navigation System and real time traffic reports from the AcuraLink communication system. Because the upper screen is shielded by an effective visor, it remains easy to read in broad daylight. The unshielded lower screen, however, is impossible to decipher when sun shines directly on its surface. At that point you only see dust and fingerprints. 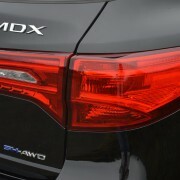 The MDX in Hybrid form is an exceptionally useful transportation module. 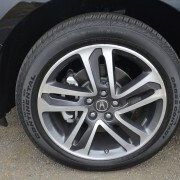 It serves the needs of large families with the peace of mind that only Acura (Honda) products bring to the table. 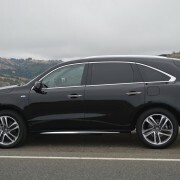 Since the MDX model line starts at about $45,000, the $58,000 base price of the Hybrid is significantly more expensive than an entry level MDX. 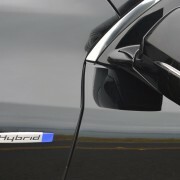 But in the long run, this Hybrid’s excellent fuel economy and luxury appointments will pay for themselves over time. 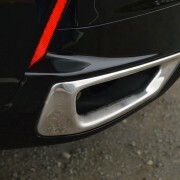 And you simply can’t get the kind of acceleration boost out of the gas-only V6 that the Hybrid provides. 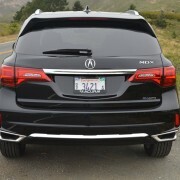 All in all, the Hybrid is the best version of the MDX you can buy. This MD is just what the doctor ordered.